A variety of appliances make life in the kitchen so much easier. A quality selection of small and large appliances is certain to help with saving time and effort on completing many day-to-day kitchen responsibilities. Even though the larger-sized appliance like the dishwashers, ovens, and refrigerators, etc are essential to the everyday running of the kitchen, a varied selection of small appliances are certain to offer a high level of convenience. For the coffee enthusiast, a coffee maker is certain to be one of the more indispensable appliances for the kitchen. They are available in a wide range of sizes and configurations to help with making the perfect hot mug of coffee in the mornings. A blender a highly desirable appliance that those wishing to mix soups, juices, and sources. 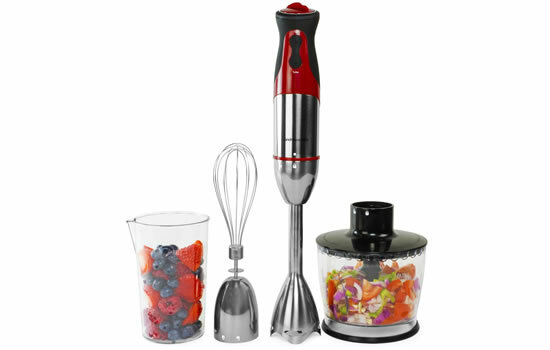 A high quality blender is able to easily combine an assortment of liquids or ingredients for a variety of food sources. A blender is perfect for “blending” ices and liquids, but if you are looking to blend the more substantial food items, you might want to look at the food processor. If you want to simplify the rice making, a rice cooker is able to make certain the rice is cooked perfectly each time at the simple push of a button. A rice cooker is available in multiple sizes to make certain you are able to cook the ideal volume of rice for your needs. A high performance food processor is able to make light work of chopping lots of fruit, vegetables, or similar sources of food. Many of the food processors are equipped with several different blade attachments to help with blending the food. By eliminating the process or stirring or combining ingredients by hand, you are able to combine the eggs and flour that much easier. Many of the mixes are likely to include attachments, such as a dough hook, which is helpful for kneading. An electric griddle, Panini grill, clamshell grill, or any other type of electric grill is certain to be a welcome addition to any modern kitchen space. A high quality electric grill is easy to clean, smoke-free, and compact in size. An electric grill can offer a healthier alternative than the food that is pan-fried, and certain to taste great. A slow cooker (also referred to as a crock pot) offers a perfect opportunity to slowly cook a meal. By preparing a meal prior to leaving home in the morning, you will find that on returning home, you will have a home-cooked and delicious meal which has been left to simmer to perfection throughout the day. A highly favored appliance for the kitchen is certain to relate to the microwave oven. A microwave is able to quickly heat food in a much shorter time than a conventional oven. They are extremely durable and very easy to operate. A deep fryer is perfect for chicken fingers, hush puppies, French fries, and similar such food items. A fryer isn’t as healthy as the electric grill, but they are often favored due to the quality of taste they are able to offer, which often resembles that of the restaurants.